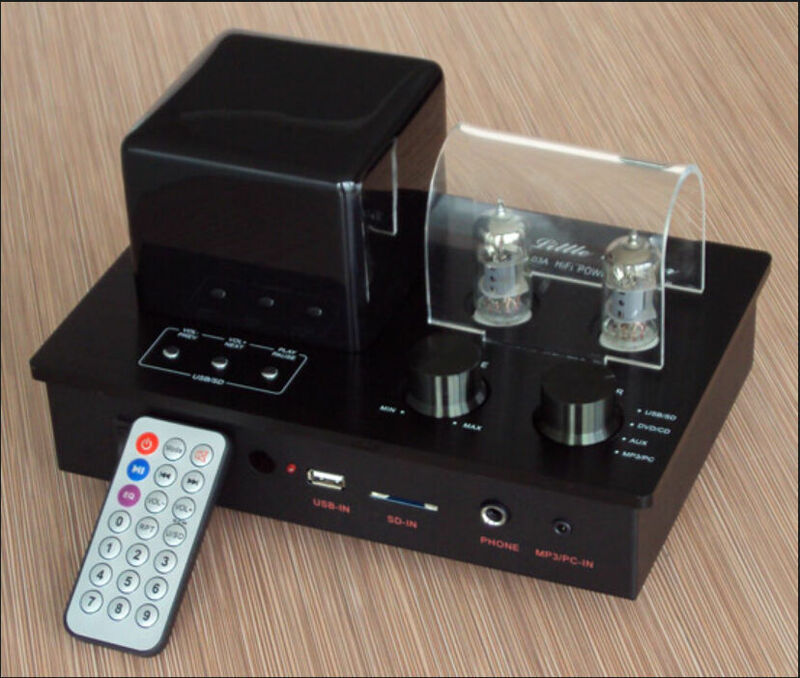 has four signal input switching function: USB / SD input; CD / DVD input; AUX line input; MP3 / PC input. comes with U disk / SD card decoder, files can be downloaded to a computer in the MP3 format Kaoru removable memory USB interface. You can also connect it to portable player (such as MP3, MP4, etc.) 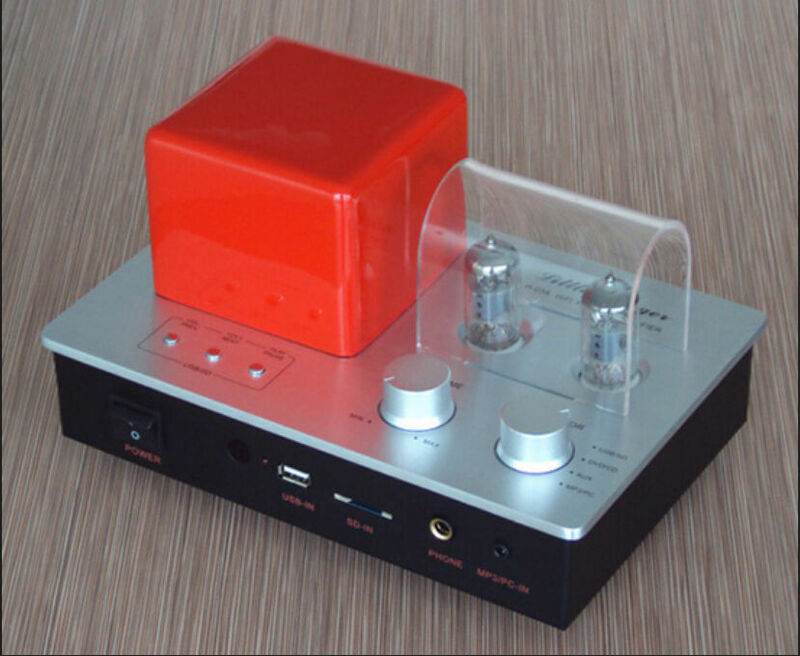 and computer sound card to power amplifier connected speakers to enjoy music. 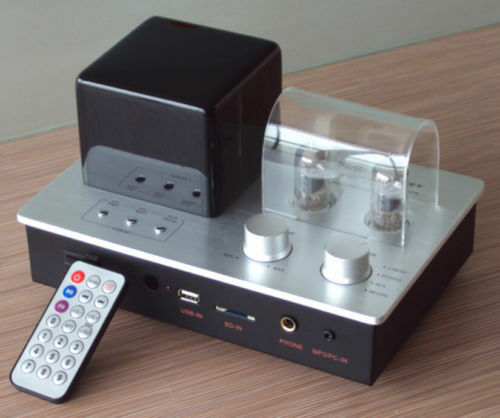 comes with a headphone output, you can access different impedance headphones 32Ω -600Ω exclusive music (plug in your headphones, automatically cut off the speaker). 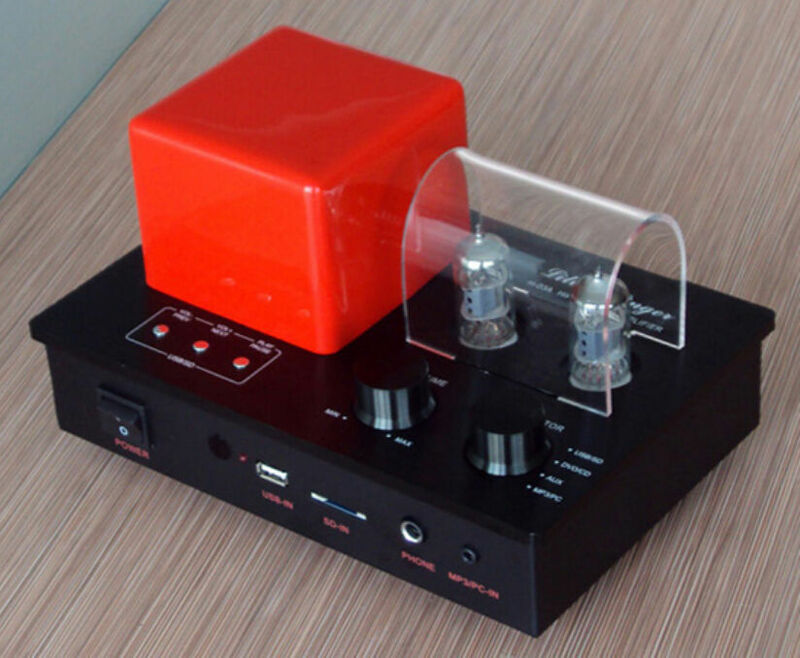 The power transformer using an independent shield isolation, low magnetic leakage toroidal transformer power supply, minimizing interference and power supply is abundant. 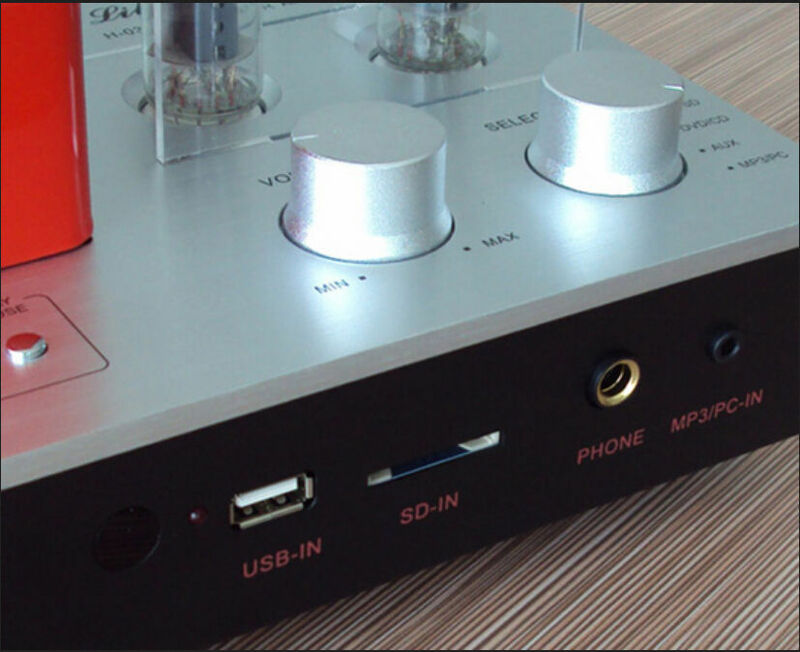 craft brushed aluminum panel, sandblasted metal knob, blue power indicator. 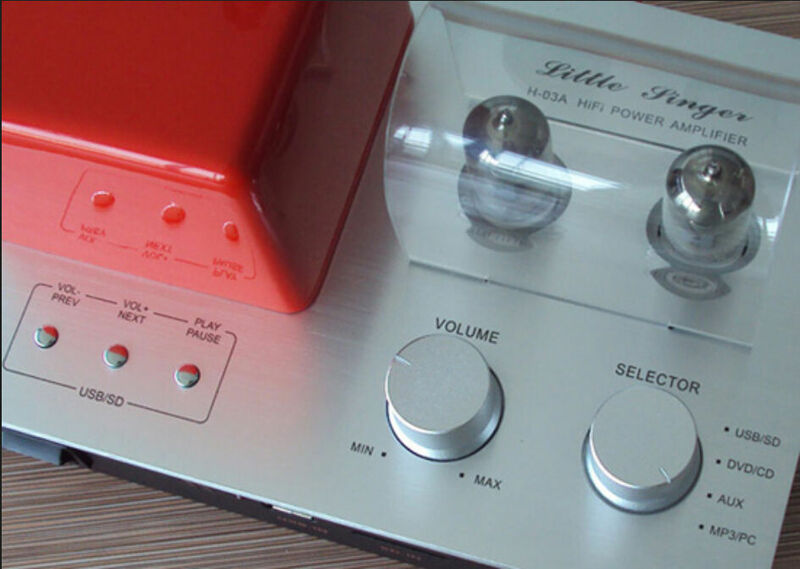 using a thin steel box. Red Weimar, Germany WIMA MKP capacitive coupling. senior gold-plated power output terminals. 4: black panel with Black transformer cover. Please let us know which kind is you need, or will send Randomly. Defaultsend by express delivery,about 7-12 business days can arrive most of europe countries,Russia, Brazil,Africa.Ukraine and some other remote countries will send by china post ,need somemore days.